New information and additional public testimony have the Keizer City Council rethinking its stance on plans to enact a fee to create public amenities in association with new commercial development projects. The end result of discussions at the meeting was to continue the matter at the council’s October 2 meeting and reopen the public hearing. City staff had already prepared an ordinance for the council to approve and the public comment period had already passed, but Jonathan Thompson, a board member of the Keizer Chamber of Commerce was granted the opportunity to speak on the issue. “We are concerned with increasing regulation and another fee. Let’s get some folks around the table and try to do more with a carrot and less with the stick,” Thompson said. After hearing from Thompson, the council asked if anyone else wanted to speak on the issue and Alan Roodhouse, one of the developers behind Keizer Station, took the mic. Roodhouse was in attendance to answer questions about another council action, but the new fee would affect a project of his in the works – a new dental office near Kaiser Permanente in Keizer Station. Roodhouse compared the construction of Target when Keizer Station opened to the construction of the new dental building. Despite having a smaller footprint, the dental office will cost more to construct because it is a specialized facility. The final cost of the construction is expected to be in the range of $6 to $8 million, 1 percent of which is $60,000 to $80,000. To further complicate the matter, only three city councilors and the mayor were in attendance and not privy to the new information, which was one reason a final vote on the code amendments were tabled. Community Development Director Nate Brown made one final pitch for the idea before the conversations started heading toward the delay. “We have tried to make this non-punitive. We don’t want to put undue burden on small business, but that’s why the 1 percent is so low. It’s not a lot of money. It’s also extremely flexible. We will work with the developers and be creative in how we get the amenities oriented toward the community,” Brown said. He later added that if the city is serious about an overall vision for River Road, or the community at large, the fee is one way to extract the money needed to pay for such projects. Clark said Roodhouse’s testimony was the one that made her question her original stance on the fee. “A medical office and a regular office will have dramatically different costs, and that’s not something I had considered,” Clark said. Brown said they were looking for the fairest way to levy the fee and attaching it to the cost of development was the one thing the city has access to. Attaching it to profits generated at each site would require access to businesses’ tax returns. The recommendation for the changes came through the Keizer Planning Commission, which includes present and former business owners. Councilor Laura Reid voiced concern about overriding their judgment. “I am in favor of further discussion, but I want to respect the work the planning commission has done. There are costs of doing business and we have lower costs in many respects. 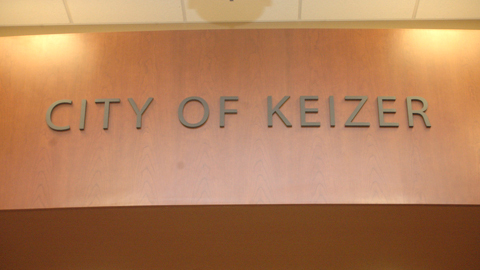 I think public amenities are an important cost of doing business in Keizer,” Reid said.